Today this world has lost a warrior, coach, authentic teacher, and dear friend. John Carroll, of Omaha, was a dedicated and down right funny man. For over 35 years he drove his white pickup truck to the tennis courts off the corner of 144th Pacific and changed the lives of the students, parents, and sometimes complete strangers just watching a match. 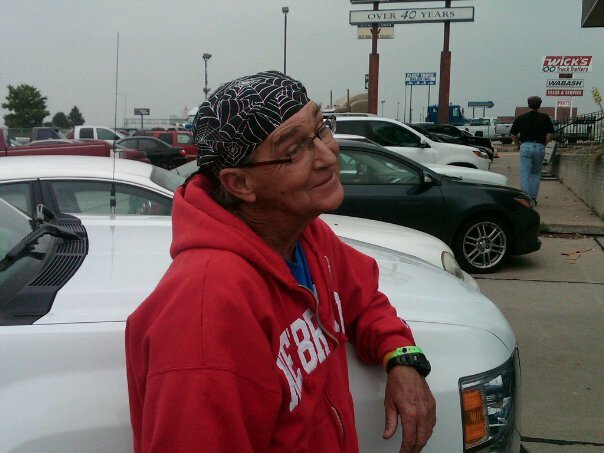 Mr. Carroll, ‘Coach’, ‘Chief,’ was a legend around Millard North High School and the Omaha Tennis Community. His legacy is more than his recent induction into the Tennis Hall of Fame, his numerous State Championships, or his epic pony tail that rivaled most of the girls on his squad. John Carroll is a legend because of the way he treated his family, friends, and students. Just two weeks before he passed, he said, “I don’t do this (coaching tennis) because I get paid for it. I do it because I love the kids.” Boy is this an understatement, Mr. Carroll. You cherished your time guiding lives on and off the court and you wore it on the sleeves of your Mustang blue tennis shirt. When the last match is over, when the graduations commence, and when the days are done is when we typically remember that, “Oh, I wish I could have done this, or, I’m glad I said that.” But, what if we took a lesson from those that gave their best before it was all over? What if we remembered to give our best while it still mattered? John Carroll did just this. He gave his best to each and every student, parent, and tennis season that passed him by. Right until the end, he gave his best. When the Cancer threatened to take his passions away, he still pushed forward, for the students. He sat by the sidelines and coached even when his nimble body wouldn’t allow him to jump up and yell as he had done so many times before. Coach Carroll’s spirit was still strong and it showed. I’m challenged by his dedication and commitment to being the best you can for yourself, your students, your children, and your community. How could he have meant that much to so many different people? Each person that had Mr. Carroll as a teacher, or a Coach, or a mentor to their child says the same thing, “He made me feel important, cared for, and always made me laugh.” Can we do this for the people in our lives? Will you rise to the challenge of being your best for those you love and maybe even those you don’t know yet? I will. I have a great role model to follow and John Carroll’s spirit will live on to help me remember to always give my best so that others can do theirs. God bless you, Mr. Carroll.